When you have a data center cooling system, you should never neglect its maintenance. By properly maintaining it on a regular basis, you could avoid costly future repairs and help your system work more effectively and efficiently. You should monitor the system and have a schedule for when maintenance needs to occur. Most systems only need one or two routine checkups per year unless they are in high heat or high dust areas. Having this kind of environment might mean you have to maintain your data center cooling system more often. When you check on the system, you should look at all components of the system. A couple of these include the circuit breakers or mechanical connections. They should be looked over for wear and tear of these items and all factors that contribute to any premature wear. Sometimes it is simply human error that causes unnecessary maintenance on a system. Other times it is improper use of equipment or higher than average temperatures. Fortunately, the manufacturer makes these systems more reliable and as error free as possible. Having a good environment for the data cooling center is extremely important. 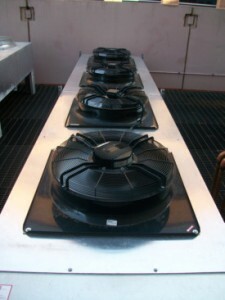 To keep the temperature levels down, there may be computer room air conditioners or cooling fans, which eradicate the need for having to service moving belts. Moving belts can typically be a high maintenance item, so this is highly beneficial if you can keep them in good working order. If temperatures get too high for an extended time, it can quickly cause problems within most of the internal components. In order to correctly diagnose what needs to be maintained, there is software that can be enabled. This software shows when data center equipment needs to be replaced by making a recommendation. Instead of waiting an allotted time to change a part, the software checks to see how the component is working and makes a recommendation to change it if it is not performing to its best capacity. Most maintenance can be scheduled during normal working hours. Not only does this cost less than someone repairing the system at night or on the weekend, but also it means there is less potential for human error because the person is tired or burned out. Another maintenance strategy includes thermal scanning. By scanning racks and breaker panels for high temperature readings, you can pinpoint potential problems and fix them accordingly. You can also approach data center cooling maintenance through a condition-based approach. This gives an estimation of the condition of your equipment over time by giving you a formula to use to assess downtime. It identifies which machines are at a higher risk of failure because of defects or stress that is occurring. This system uses data to figure out which machines will need maintenance and which will remain in good condition. Hiring a third party expert to perform these functions could be the key to your success. They know the data cooling system and how to properly maintain it. Not only is it important to regularly maintain your system, but also having the right professional conduct this maintenance can ensure long-term success. Improper maintenance can lead to costly future repairs that could have been avoided. This entry was posted in data center equipment, data center maintenance and tagged computer room cooling, data center cooling, data center maintenance. Bookmark the permalink.